I am available for custom classes, workshops, and speaking events about Parenting with Positive Discipline. I love speaking with Schools, Museums, Moms’ or Dads’ Groups, Corporations, Neighborhood organizations, etc. I’ve been a featured speaker for many organizations including those below. 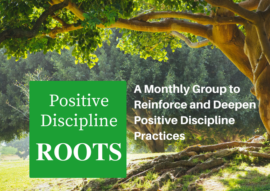 This fun, highly-interactive introductory Parenting with Positive Discipline workshop combines presentation, group discussion and role playing. Parents and caregivers will leave with new insights to ponder, as well as practical tools they can use right away to foster more respect, connection, and cooperation with their kids. It is consistently a big hit among parents. The Truth About Consequences – How to teach consequences that are helpful and not just punishments in disguise. Parenting Styles that Invite Cooperation – what is your default parenting style: Too strict? Too soft? Do you bounce back and forth between being too strict and too soft? Tonight we will experience what it looks and sounds like to be kind and firm at the same time. Making Mornings More Manageable – tangible tools to help you and your children get out the door in the morning peacefully and on time. 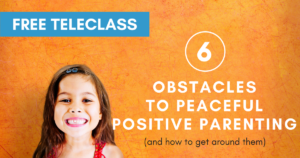 Fostering Resilience and a “Growth Mindset” — experience the difference between encouragement vs. praise and learn and practice slight tweaks in language that can help children bounce back from setbacks and feel more eager to take on challenges. Growth Mindset, a term coined by Stanford researcher Carol Dweck, refers to the extent to which children believe they can, and are motivated to, continue to grow and improve. Back Talk, Defiance, and Power Struggles — Learn how parents contribute to these unwanted behaviors, and what to do instead. 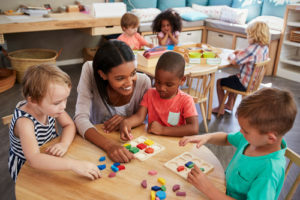 Chores, Allowance, and Family Work – lay the foundation for children who feel capable and motivated to help themselves and contribute to their family or classroom. Emotional Regulation for kids and adults – we’ll learn about the popular “Time Out” and how it can either be effective and helpful or destructive; what to do when your child is in the midst of a tantrum; plus tools to help children (and parents) become better at regulating themselves and their emotions. Set Limits that Stick – Identify where stronger or weaker limits are needed in your household, then learn and practice a three-step tool to set limits that stick. How to Raise Emotionally Intelligent Children – Experience the impact of empathy on connection, cooperation, and self-discipline. The Kids are Fighting . . . Again! 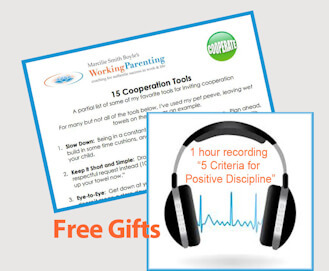 – Gain practical tools to encourage more peaceful, cooperative sibling relationships. Technology and Kids — Tips for living with smart phones, social media, gaming, etc. in a healthy way.